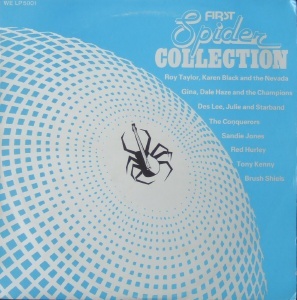 Owned by Tommy Hayden and operated by Louis Walsh, Spider was a pop/rock label which released some interesting singles during 1979-1981, among them essential releases by Katmandu and the Zen Alligators. The label has an attractive design showing a black spider and white spider's web over a red background. There are also a number of green label variants (WEBN 025). 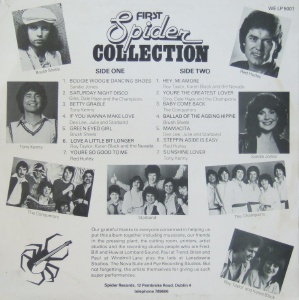 Spider went bust in 1981 with several singles imminent. 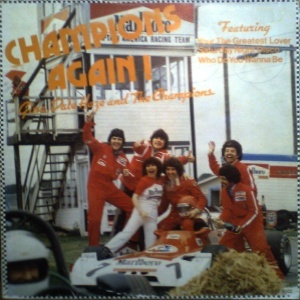 The status of the last few singles in the listing varies: the Zen Alligators single (WEB045) was a chart hit and there are plenty of copies are in circulation, though the picture sleeve has become scarce. 500 copies of Stepaside's single (WEB044) were pressed but these were dumped at the back of Warner Brothers offices in Dublin as the label went bust. Some copies are in circulation so they were not (all) destroyed, but it is not an easy one to find.